Why do a Skin Allergy Patch Test? Welcome to the new website for MixEz. This blog is help highlight the importance of performing a skin allergy patch test and how to do a patch test using different at home, hair dye brands. Making a directory of salons who offer a skin allergy patch test. I hope to share MixEz, the invention, in the coming months – to make patch testing easier to do. 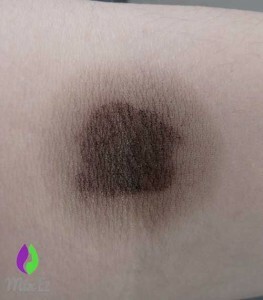 For this skin allergy patch test, I used a box dye which was purchase in the US. 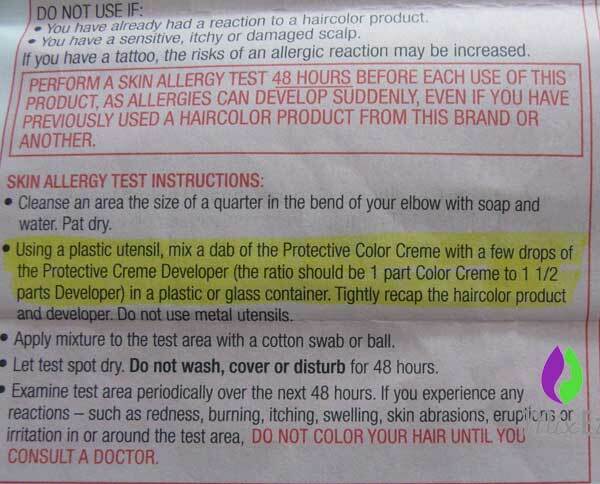 The biggest difference is that the patch test in the instructions is a 2 part. The colour which I had was 4G Dark Golden Brown (Warmer). A small disclaimer – The photos used are of my arm. At the time I was taking some prescribed medication for migraines, hayfever nasal spray and over the counter antihistamines. I do get eczema, I have no tattoos, I have never smoked and I have never had any henna tattoos. The test took no longer than 5 minutes to do and this includes mixing up the colourant and developer together, looking for more cotton buds and replacing the battery in my camera. Amy Caddick wanted to recreate the hair style of Kim Kardashian with dark brown at the roots and lighter tips. She went to a local salon but unfortunately, in the article it states she says the salon didn’t do a patch test and she had a severe allergic reaction where her head swelled. This is carrying on from the Garnier Olia skin allergy patch test but it is a hair strand test using Garnier Olia to see what my dark brown hair would look like if I were to dye it with Deep Violet 3.16. The smell of it is very floral and pleasant. It contains no ammonia and it uses toulene 2,5 diamine. A slightly different patch test – I used a different, vibrant colour and also did a hair strand test. 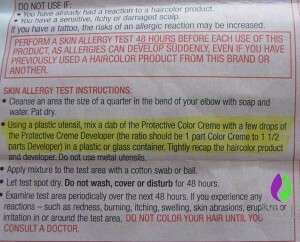 The instructions do say to just do a one part skin allergy patch test with the colourant. I would rather use the product as it would be on my head. 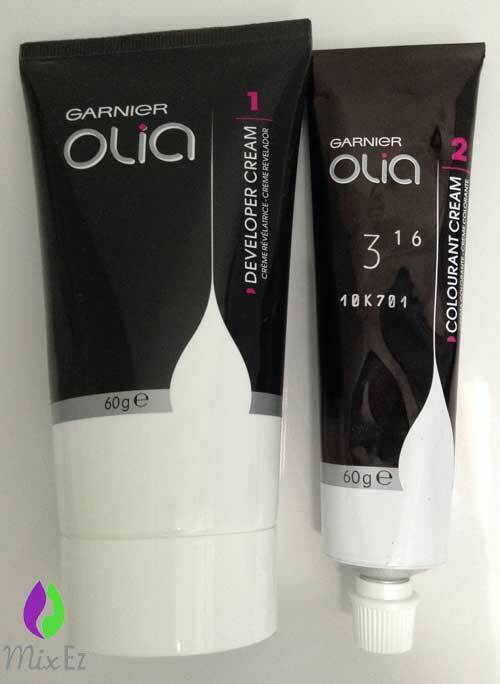 The product I chose was Olia by Garnier in Deep Violet 3.16. It contains no ammonia and it uses toulene 2,5 diamine. It has similar properties to PPD and can cause an allergic reaction. I had seen on twitter several people had mentioned they were disappointed it hadn’t turned their hair a blue based violet tone as they expected. A small disclaimer – The photos used are of my arm. At the time I was taking some prescribed medication for migraines, hayfever nasal spray and over the counter antihistamines Zirtek. I do get eczema, I have no tattoos, I have never smoked and I have never had any henna tattoos. The Leo Bancroft Salon (as seen on This Morning, The Salon) is quite a challenging website to navigate. There is however an app which makes things a little easy. On the website all the information is under the Contact tab. If you have any questions send an e-mail or phone up the salon. 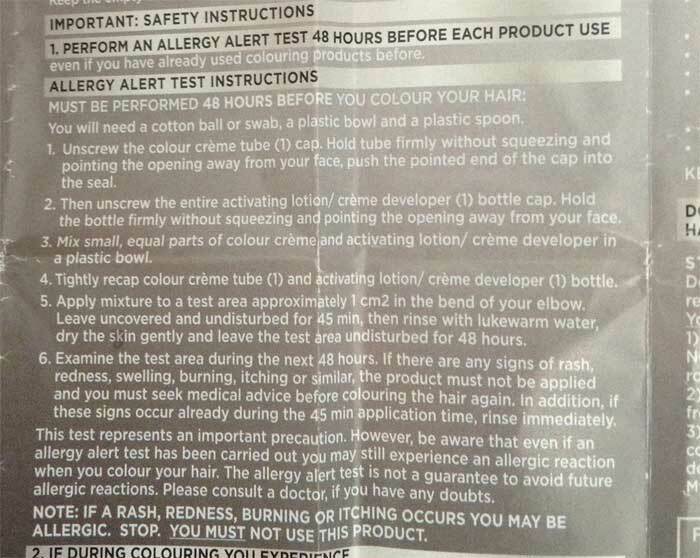 ‘ We require a skin test to take place at least 48 hours before any colour services. Really helpful and a very friendly reply to my e-mail. The Vidal Sassoon Salonist is one of the newer home hair dye kits on the market and comes with a bowl, brush as well as the regular gloves. The whole marketing campaign was making the at home experience as close to a salon experience. It also has the two part system where you first apply the roots with the initial mix of hair dye, add a serum to the remainder and apply it to the rest of the hair. 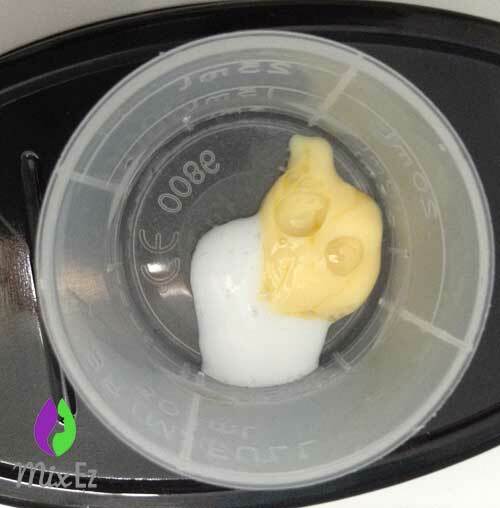 The skin allergy patch test is a 2 part test where you mix equal part of the Rich Colour Cream (colourant) and Colour Activating Lotion (developer) together. Both bottles are marked 1 and the serum is 2. You do not need the serum for the patch test. Edit:- The whole patch test took no longer than 5 minutes to do and because you rinse the dye off after 45 minutes you don’t have to worry about letting the dye dry! 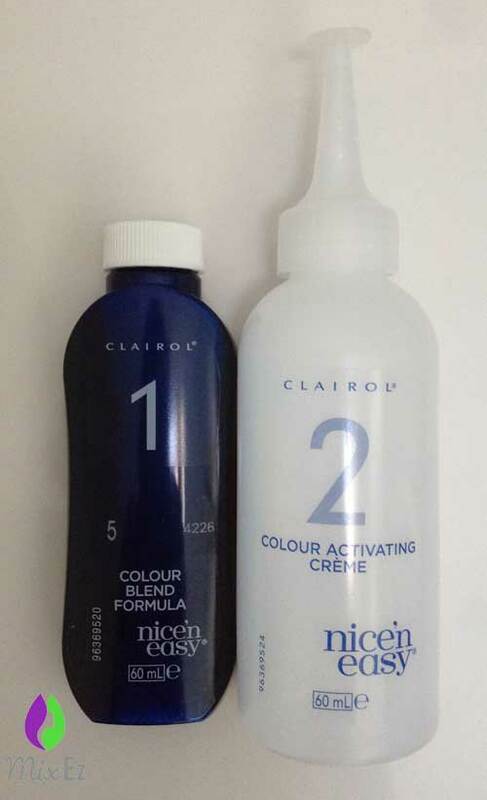 This is a how to do a patch test using both the Colour Blend – Bottle 1 (colourant) and Colour Activating Creme – Bottle 2 (developer) as instructed by Clairol for both UK and USA. This took no longer than 5 minutes to do.